I know a certain reader of this blog will be very excited to see this post. 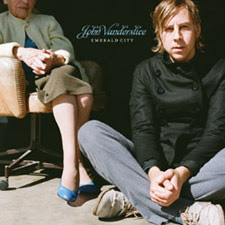 Fans of John Vanderslice will be very pleased with this latest release. He's a talented singer/songwriter and incredibly small man, capable of grasping the attention of any willing listener. Worth a listen. THIS is why I'm marrying you. And yes, he is the smallest man I've ever hugged.